Leather Jacket Worn by Jackie Chan in the movie The Spy Next Door. In this movie Jackie Chan is a profesional Spy. Wearing Jackie Chan leather jackets is a symbol of fashion with action style attitude. The same has been protrayed in this movie by Jackie Chan in The Spy Next Door Movie. 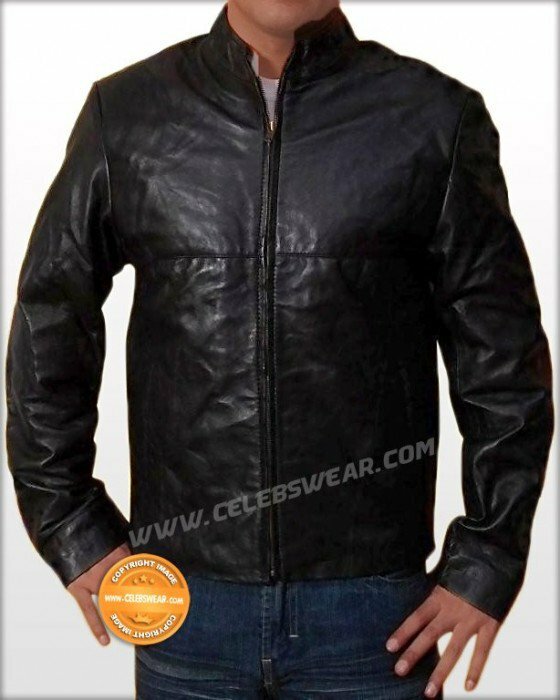 This Jackie Chan Spy Fitted Jackets is made with perfection in details and in a very high quality 100% Real Lambskin Leather with exact look as in the picture. Jackie Chan Jacket is available in Black Color. Celebrity clothing are very famous as day today, like Jackie Chan outfits and more. We offer the best replica jacket as you want like Jackie Chan Spy Next Door movie costume.